Location: Anaheim, California, United States. Kawasaki ZX10R complete engine from a 2007 Kawasaki ZX10R race bike. Direct fit for 2006. May also fit 04-05 and 08-09 models with some modification. 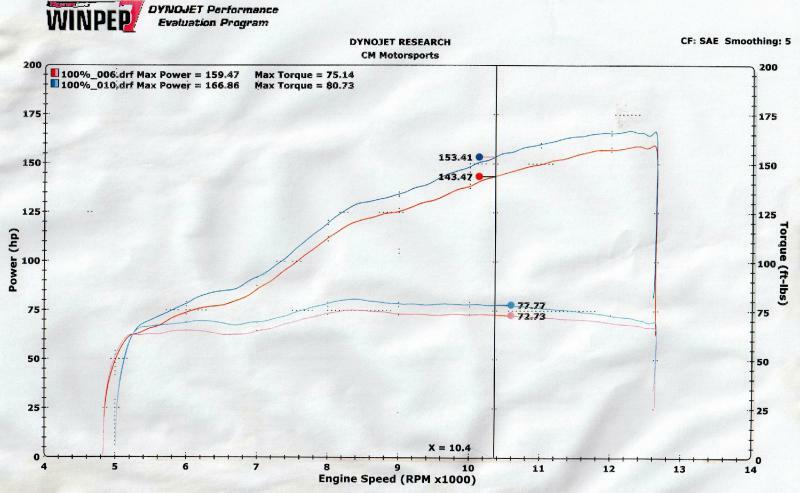 166.86 HP and 80.73 Torque at the rear wheel on VP T4 fuel!! 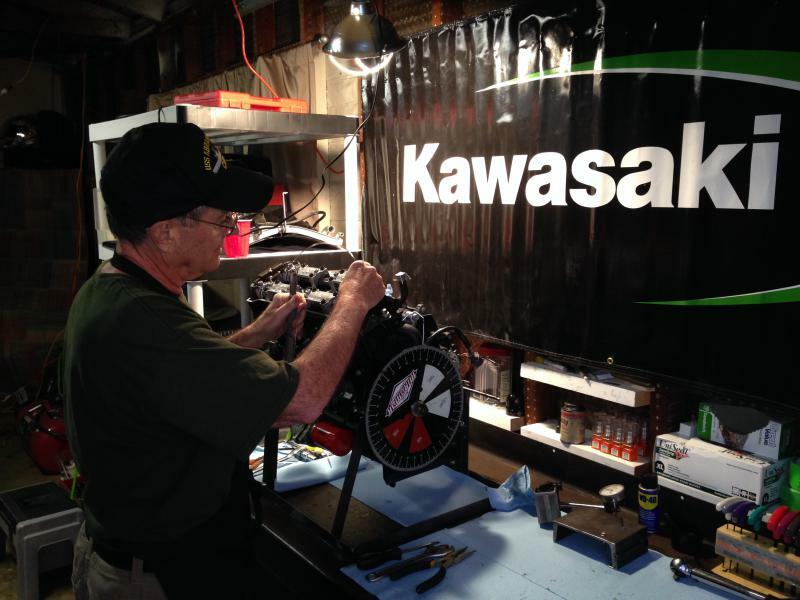 Engine has 6000 total miles and fresh full Superstock race build with only 2 race weekends on it. Runs awesome!! Mods include degreed cams, thinner kit head gasket to increase compression, lapping and adjusting the valves, port matching the cylinder head, installing shorter velocity stacks for improved top-end performance. New valve springs and valve seals. Includes billet aluminum generator case cover from Woodcraft, Comes with custom made engine stand. Valve adjustment shim kit and OEM gaskets for all side covers. 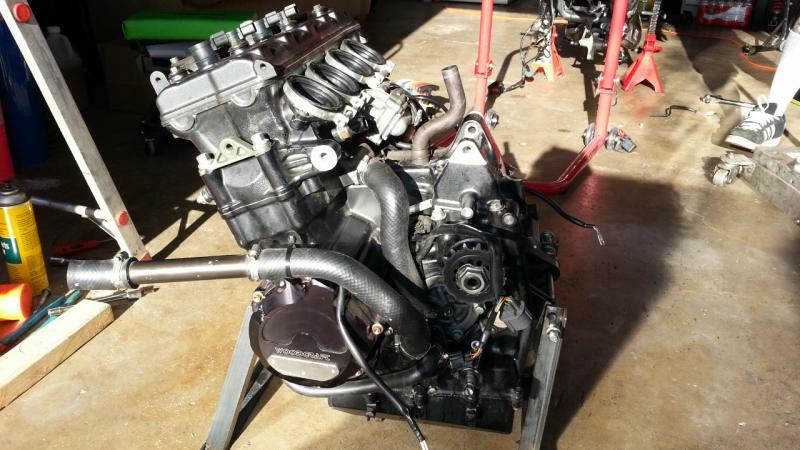 I also have throttle bodies, air box, wiring harness and re-flashed ECU if you want to make a package deal. *Only selling because I'm switching to the new 2015 Yamaha R1 for next season! Rather than selling my race bike whole, I decided to part it out, so if you are interested in other components for this generation ZX10 check out my other auctions that will be going up over the next week. **As with all used parts, items are sold as is, with no warranty expressed or implied.